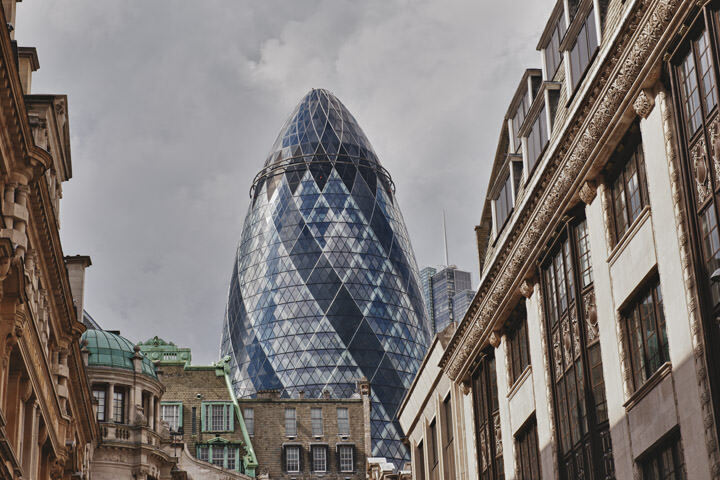 The skyscraper at 30 St Mary Axe in London´s financial district is affectionately known as the Gherkin because it is shaped like the fruit. 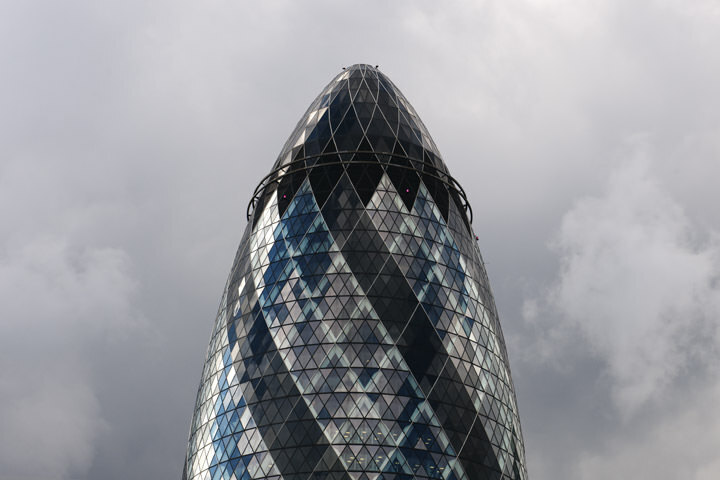 It was designed by Norman Foster and completed in 2003. 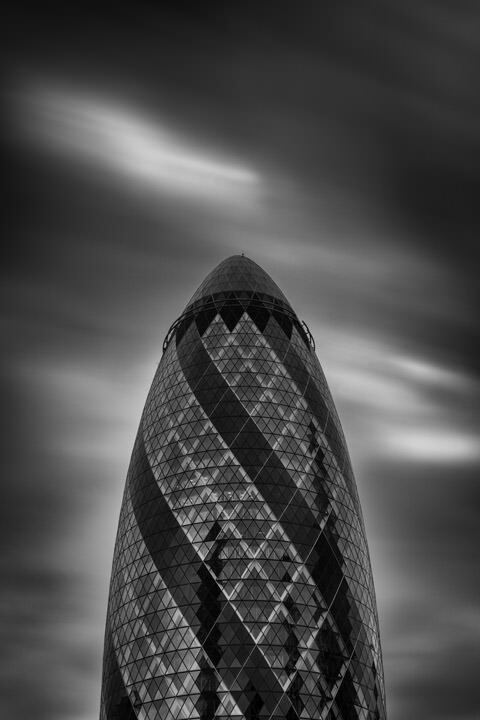 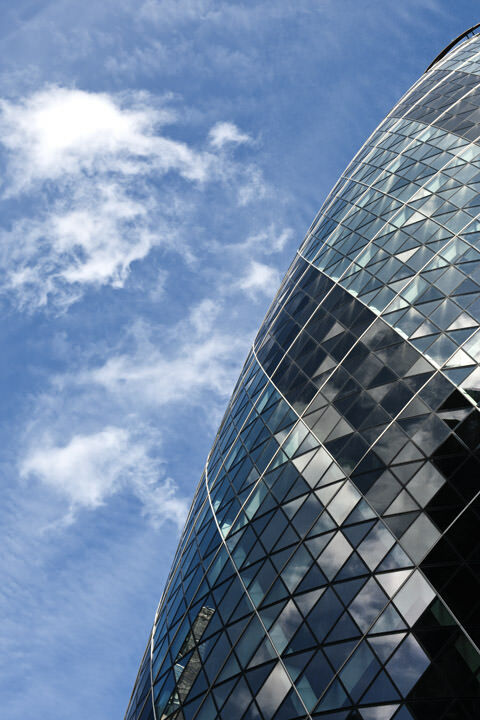 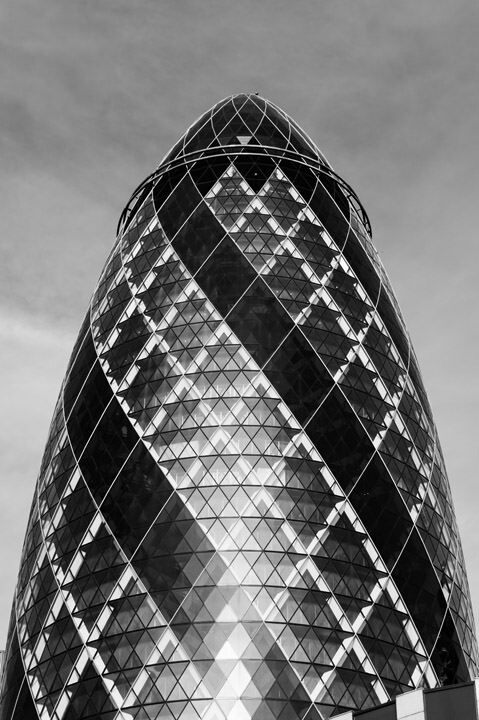 At 41 storeys and 180 metres tall the Gherkin is one of London´s architectural wonders. 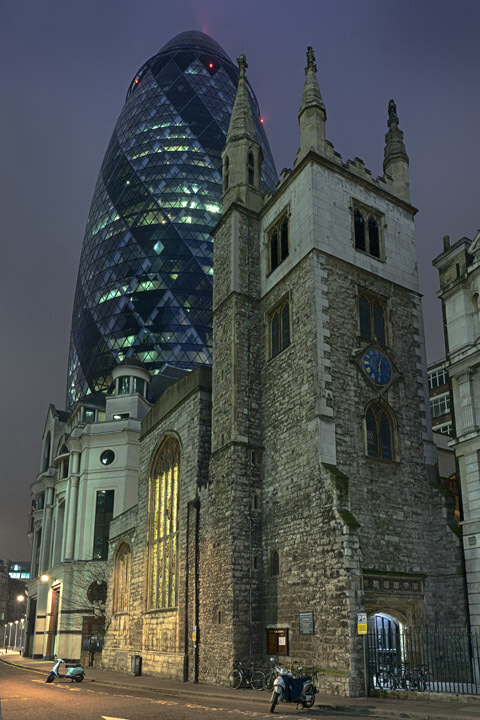 The Gherkin is one of London´s main architectural wonders. 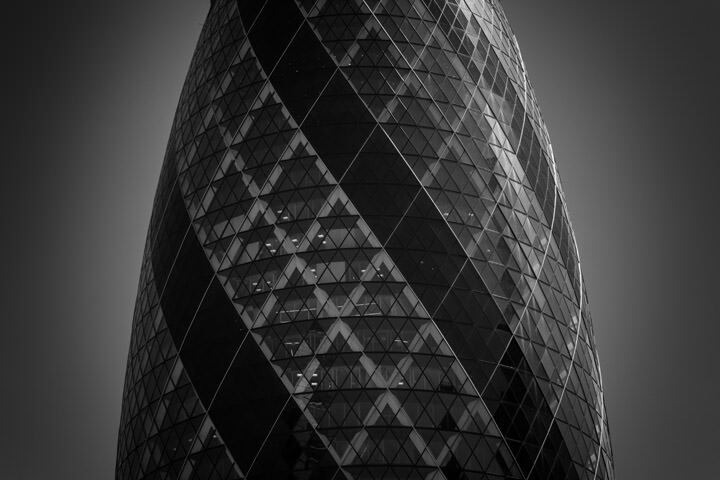 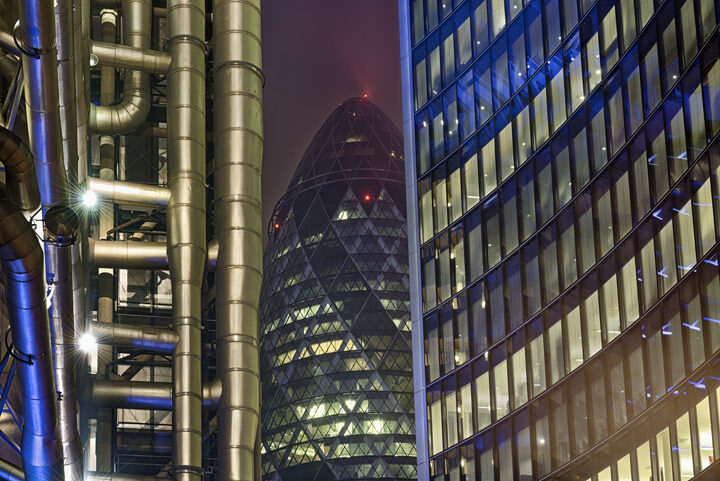 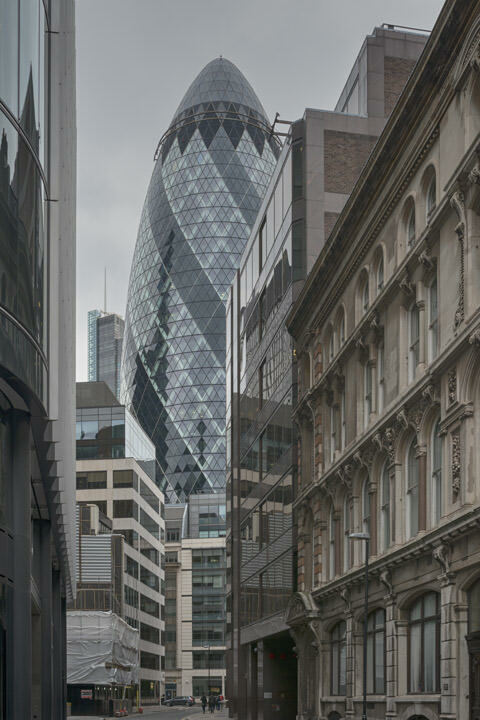 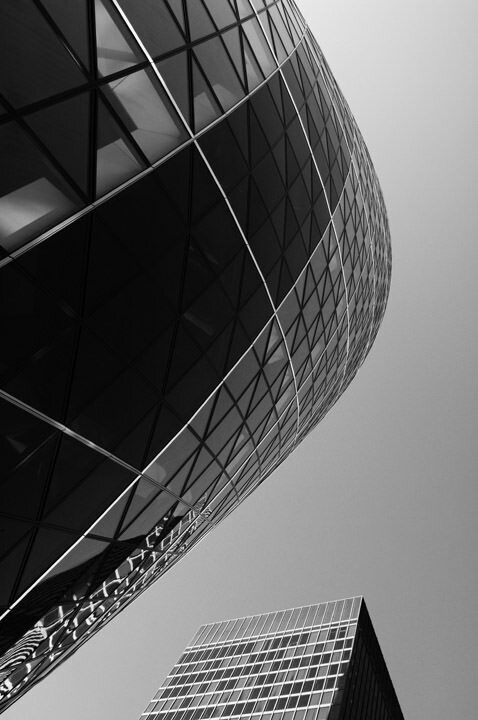 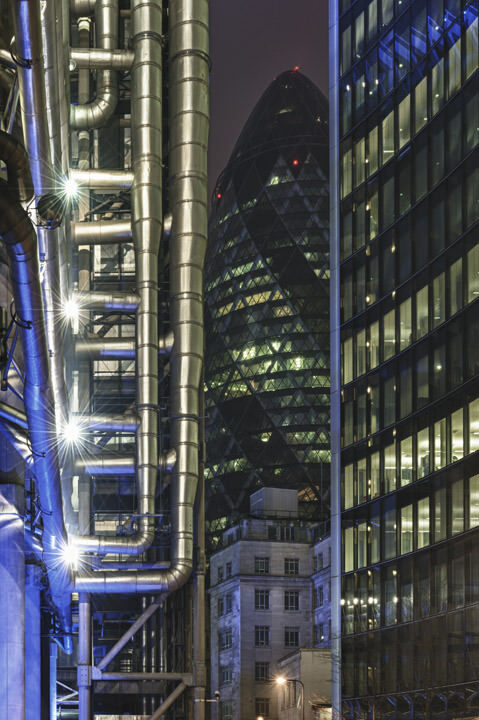 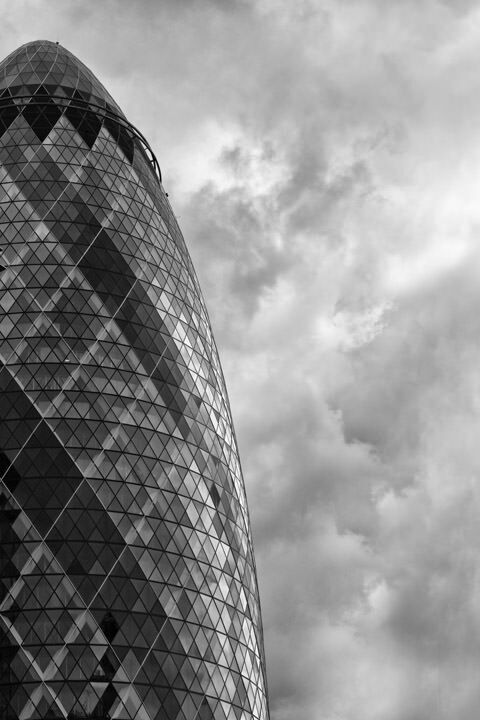 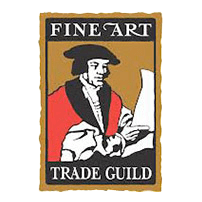 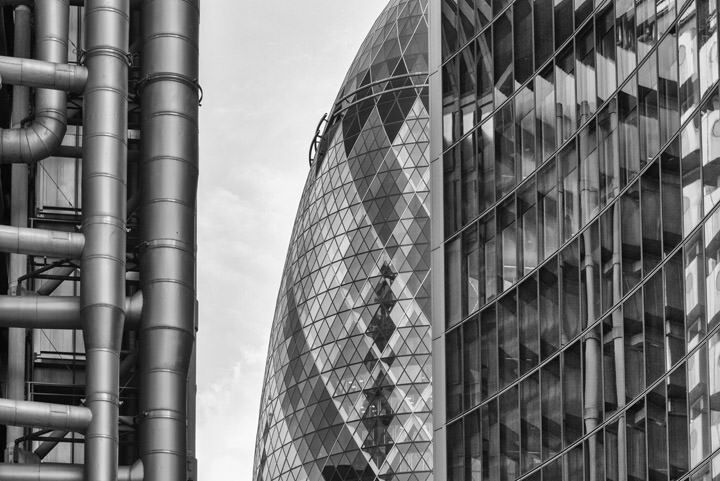 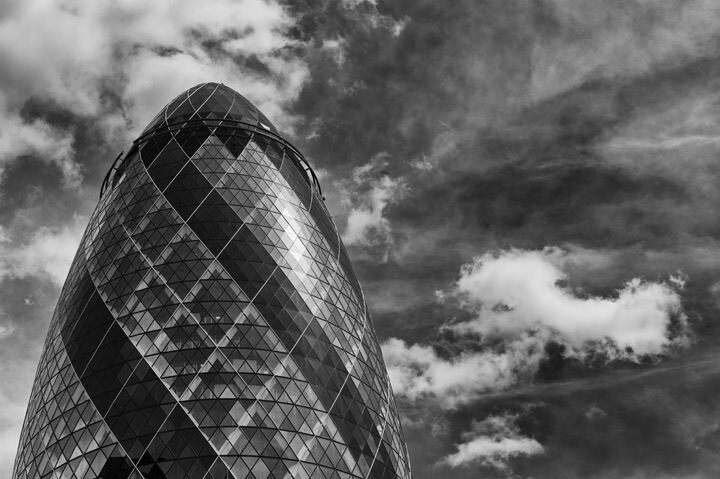 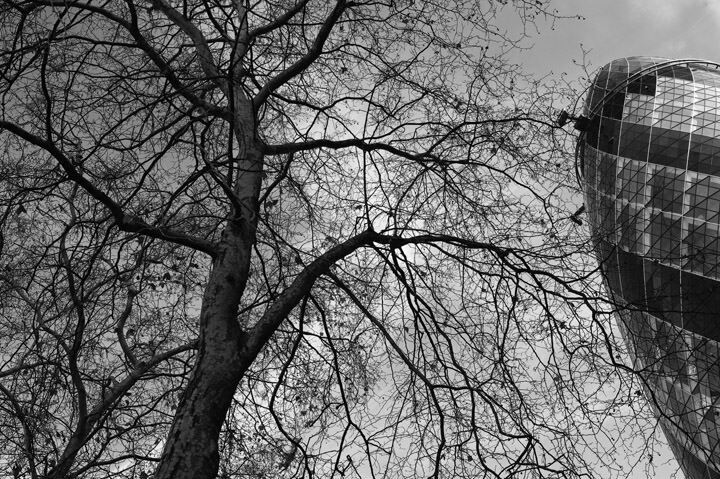 Like other pictures from the Mr Smith London collection, these photographs of the Gherkin are popular as artwork for homes and offices and as gifts, especially for work colleagues on the move. 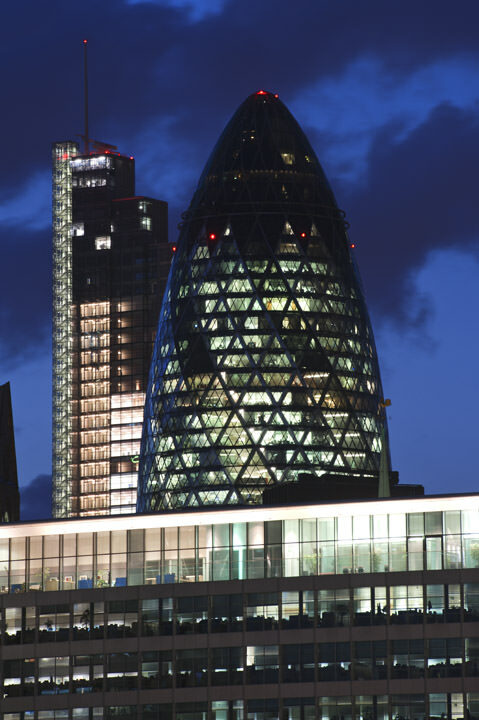 We have many more pictures of the Gherkin in our offline collection - if you are interested, please get in touch.